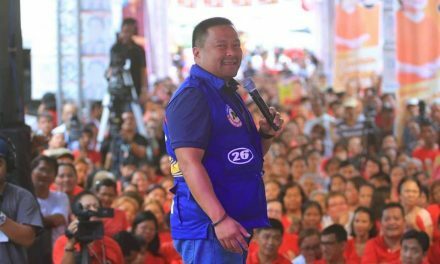 Senator JV Ejercito of the minority pledged to waive his 2014 Priority Development Assistance Fund (PDAF) in favor of the calamity victims. 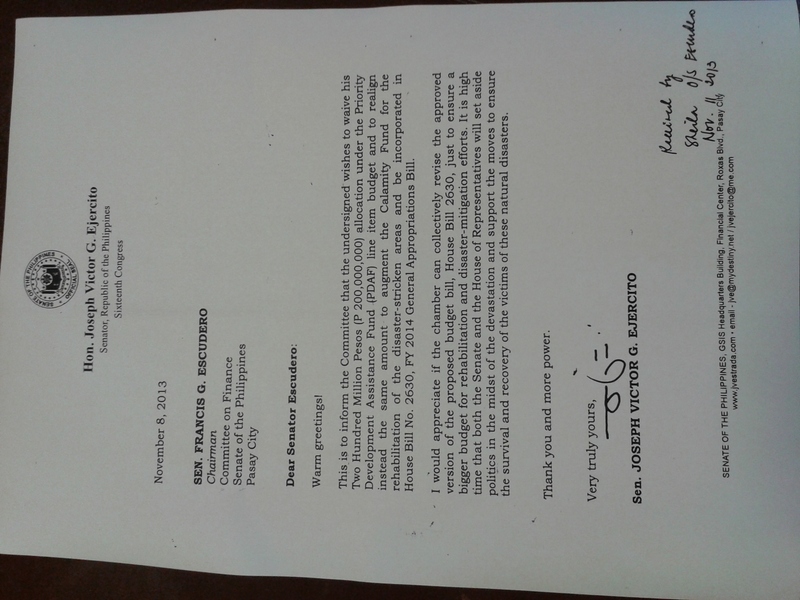 In a letter sent to Finance Committee Chairman Senator Francis Escudero, Ejercito expressed will to waive his P200-Million PDAF for 2014 and course it through the relief and rehabilitation of the victims of typhoon Santi in Central Luzon, super typhoon Yolanda in Visayas and quake-hit residents in Bohol and Cebu. With regard the 2013 PDAF, Ejercito appealed to the Supreme Court to urgently lift the temporary restraining order on the suits questioning the constitutionality of PDAF in order to maximize what’s left of the P25-Billion 2013 pork barrel as immediate assistance to calamity-stricken areas. “We should muster all our effort and funds to help calamity victims recover from the ‘hell’ they are now living. 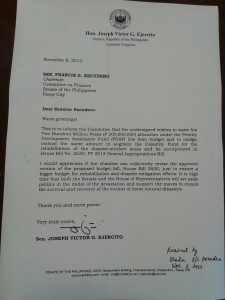 This is the best time to put the pork barrel fund into good and practical use,” the minority senator said. “These disasters have brought so much pain and suffering to the people, caused mass casualties, major damage to infrastructures and properties and disrupted our peoples’ means of livelihood, and caused enormous human, material, economic and environmental losses,” he added, highlighting the need of financial aid.